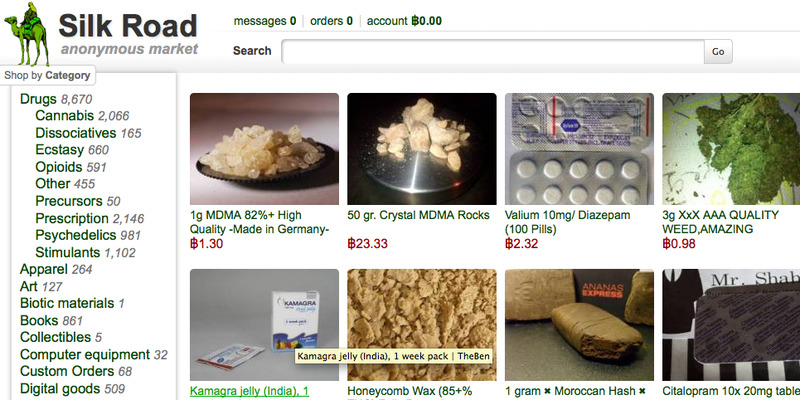 ScreenshotA screenshot of the Silk Road. The men, who were students at Manchester University, sold LSD, Ecstasy, and other drugs on the dark web, according to the UK’s National Crime Agency. They were inspired by the TV show “Breaking Bad,” and made more than $US1 million. A “Breaking Bad”-inspired gang of British drug dealers who began selling drugs online to make money as students have been jailed for years. The five men, currently aged between 25 and 28, made more than £800,000 ($US1.1 million) through sales of Ecstasy, Ketamine, LSD, Valium, and other drugs on the dark web while students at Manchester University, according to the UK’s National Crime Agency (NCA). They splashed their cash on lavish holidays in the Bahamas and Jamaica – but were first arrested shortly after the closure of the notorious Silk Road dark web marketplace back in 2013. Ringleader Basil Assaf has been given a sentence of 15 years and three months, while James Roden has been jailed for 12. Kaijishen Patel’s sentence is 11 years and two months, Elliott Hyams’ is 11 years and three months, and junior member Joshua Morgan’s is seven years and two months. The Manchester Evening News previously reported that the group was inspired by “Breaking Bad” – the critically acclaimed TV show about a cancer-stricken chemistry teacher who starts cooking and selling crystal meth. The NCA said the group operated from 2011 to 2013, selling drugs through Silk Road, an online marketplace for narcotics and other illicit goods that was part of the dark web – a section of the internet only accessible via software designed to obscure the user’s identity. At one point, the NCA said things got ugly between some of the group, with Assaf threatening to tell Hyams’ mother about his activities and firing him from the operation: “I won’t hesitate to ruin your life. Your mother will find out the truth.” He subsequently did tell her. When officers moved in on the group’s flat, they found 11,000 doses of LSD, £4,500 in cash, scales, packages, and label printers, according to the agency.